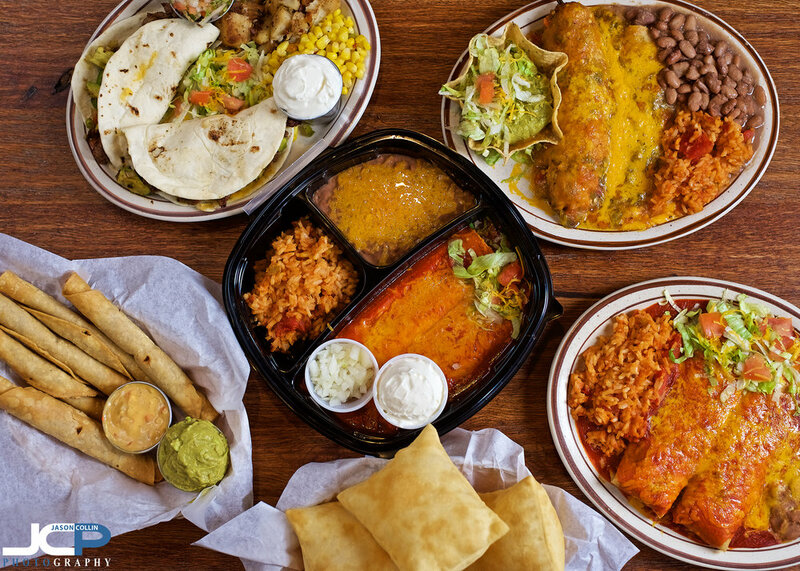 Back on another food photography assignment for UberEats in Albuquerque, New Mexico this time at Papa Felipe's Mexican Restaurant in the northeast area of the city. It was great to meet Karen and Larry who had the food all out quickly and were helpful holding the reflector for the hero shot above! I find people really like to be impromptu photographer's assistants! I really enjoy these UberEats food photography assignments as they take me inside a place I have never been before, getting to see some new little secret world, which is how I think of restaurants in my mind. Having worked in restaurant kitchens my entire high school life, I know each day there are different dramas and situations like a delivery not arriving that need to be overcome, but all this is hidden from the customers. So every time I go to a restaurant I think to myself, "what drama is playing out in the kitchen that we have no idea of?" Get great food photography like this for your Albuquerque New Mexico restaurant by contacting Jason today! --> 813-240-5357 call or text!